FORCE India reject Adrian Sutil is fighting for his fledgling Formula One career tonight, after it was confirmed that he will face trial at the end of the month for a nightclub assault. The 28-year old German, who was among the favourites to land the vacant seat at Williams for the 2012 season, could end up with a one-year suspended prison sentence should he be found guilty at the trial in Germany. The incident happened in a nightclub after last year’s Chinese Grand Prix, where Sutil and his friends had been celebrating Lewis Hamilton’s stunning victory in Shanghai. Although there has been differing accounts of what happened, it is alleged that Sutil had a confrontation with the co-owner of the Lotus Renault team, Eric Lux. The altercation left Lux needing hospital treatment, requiring 24 stitches. From the outset of this news breaking last season, Lux proceeded to press criminal charges against Sutil. The driver apologised in the summer of last year, but court proceedings have still be pressed on. Now, though, he has been charged with causing grevilous bodily harm with a trial date set for 30-31 January. The verdict will likely be aimed at CCTV footage taken from the nightclub on the night, with famous faces such as Hamilton, a close friend of Sutil’s, possibly being called to give evidence. Whatever the outcome, Adrian Sutil’s five year Formula One career tonight is hanging on real rocky ground. 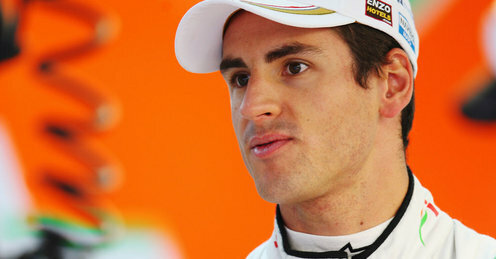 Posted on January 13, 2012, in News and tagged adrian sutil, force india. Bookmark the permalink. Leave a comment.